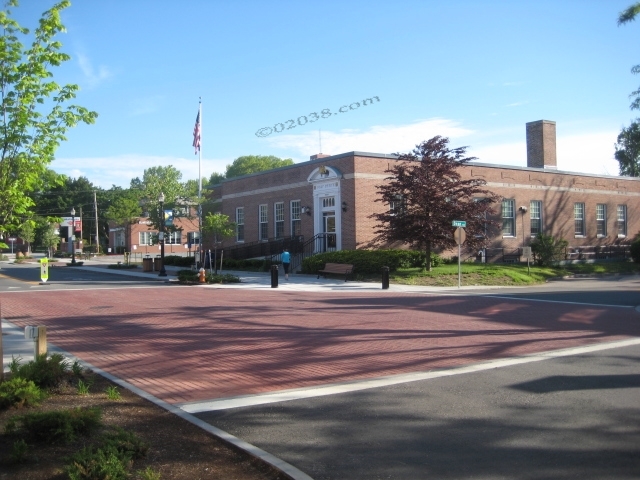 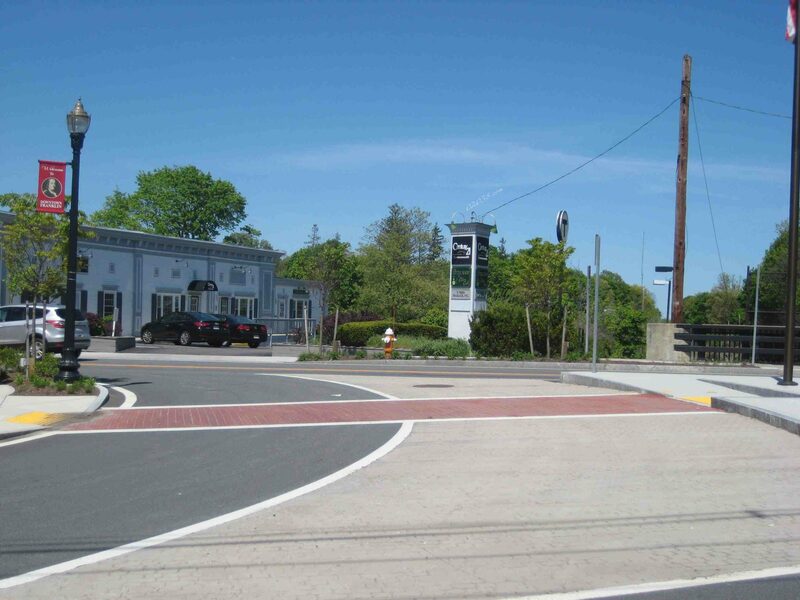 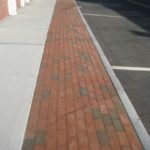 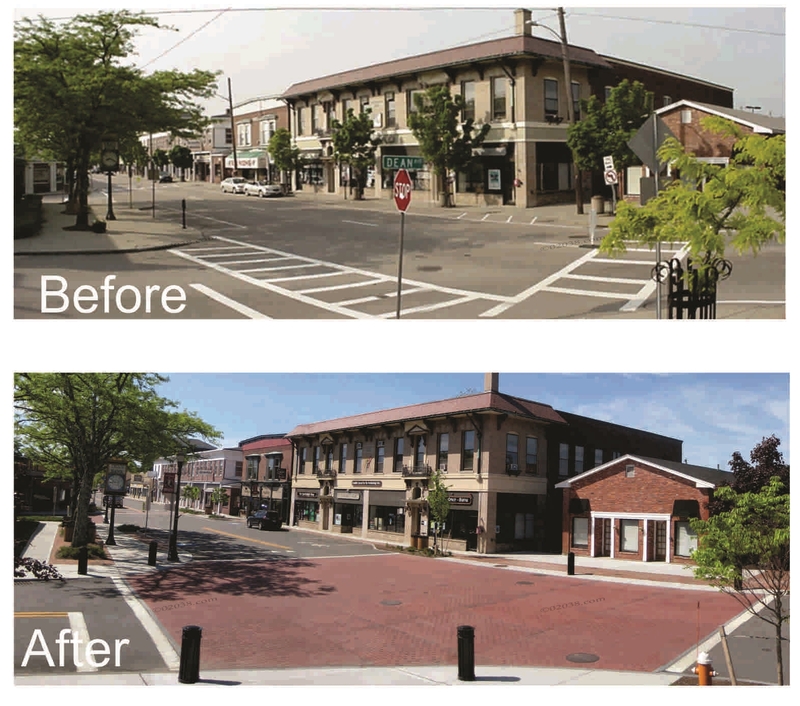 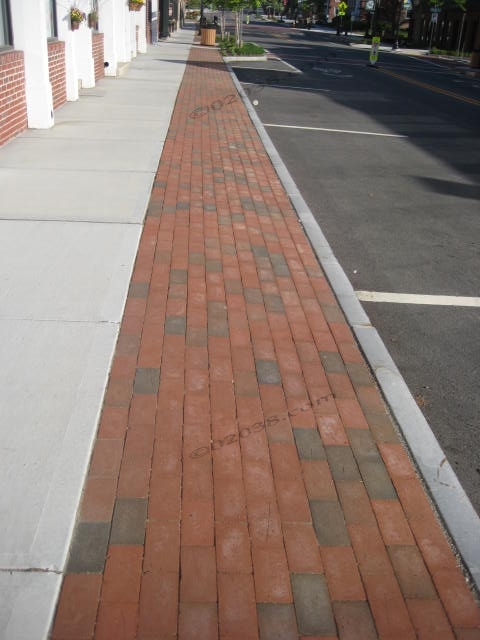 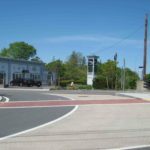 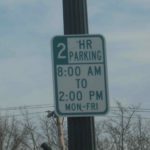 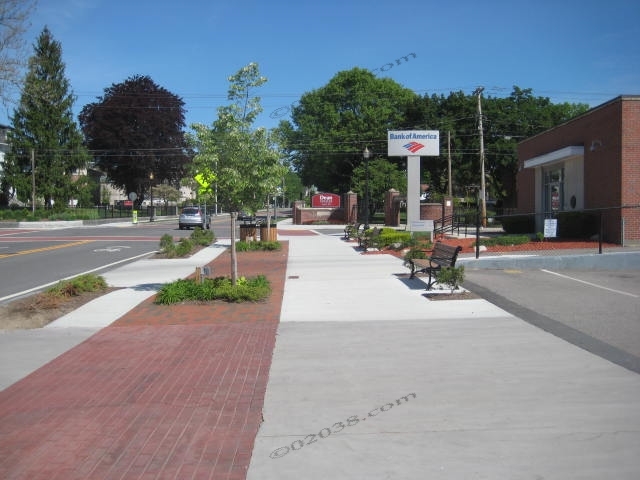 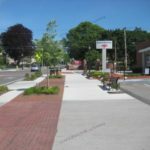 The most obvious change is the restoration of two way traffic in Downtown Franklin, MA to the portions of Main, Emmons and West Central Streets that had been one way for several decades. 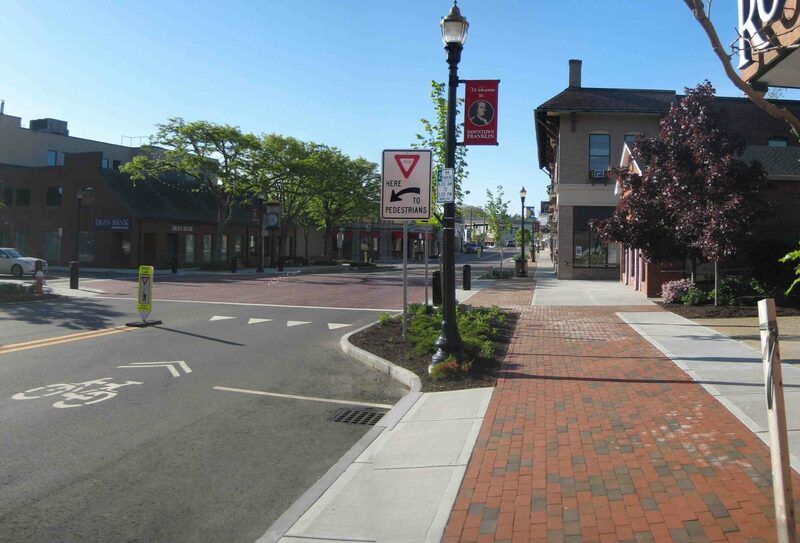 Two way traffic has improved accessibility and seems to have beneficially slowed the speed of vehicular traffic. 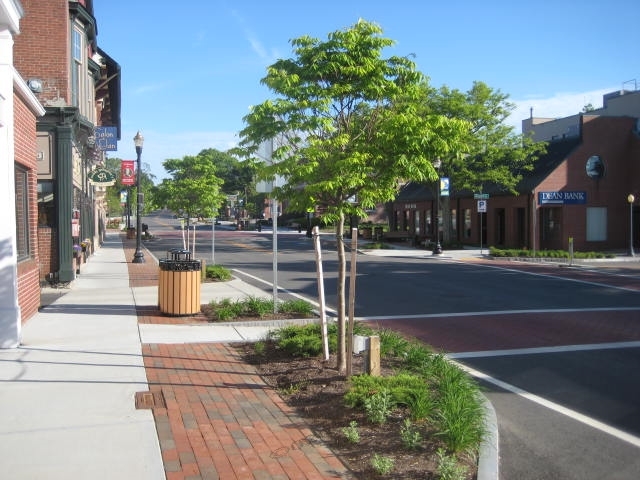 But just as important to the improvement of travel flow in the downtown district has been the creation of subtle “traffic calming” features to further slow vehicles and encourage pedestrian traffic. 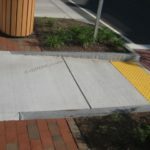 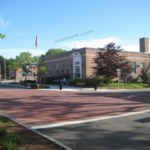 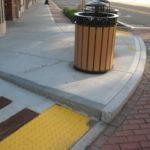 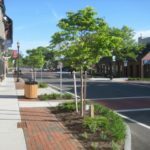 These changes include brick crosswalks, curb extensions that narrow travel lanes, bollards and plantings, and variations in road surface textures. 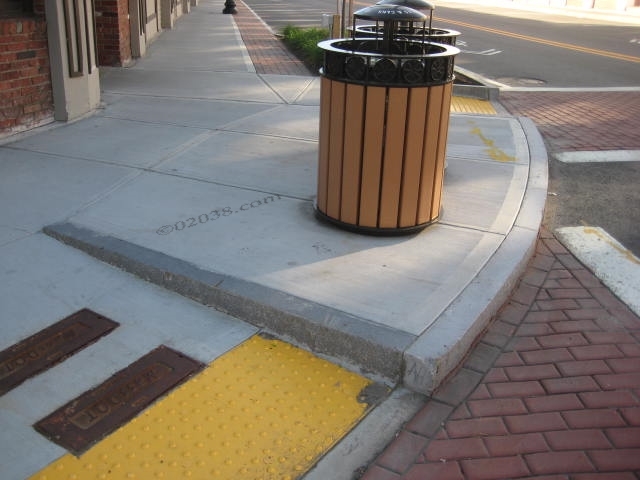 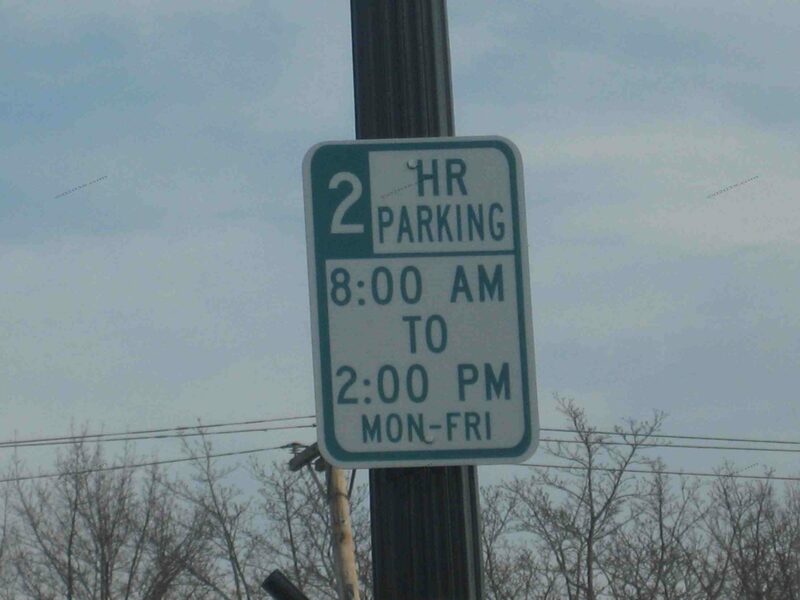 All of these features deter aggressive, fast driving and make the downtown area more friendly to foot traffic . 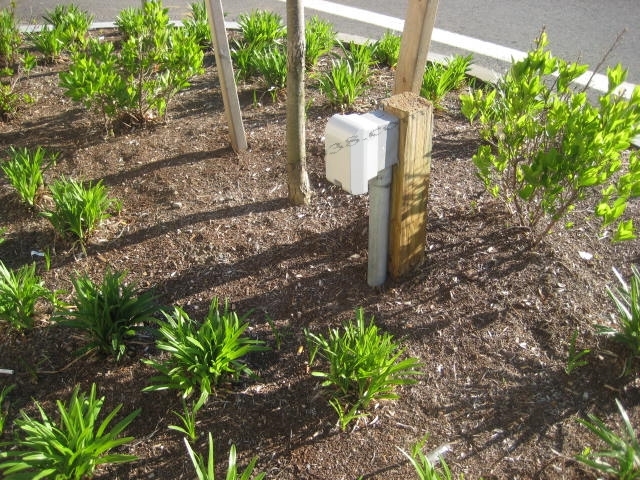 . . and they look good too! 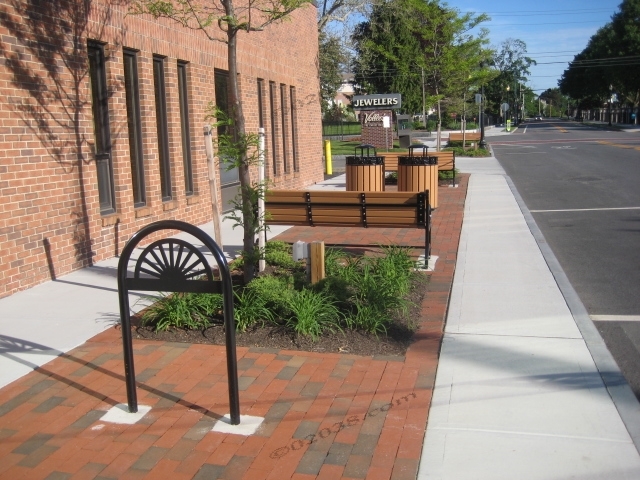 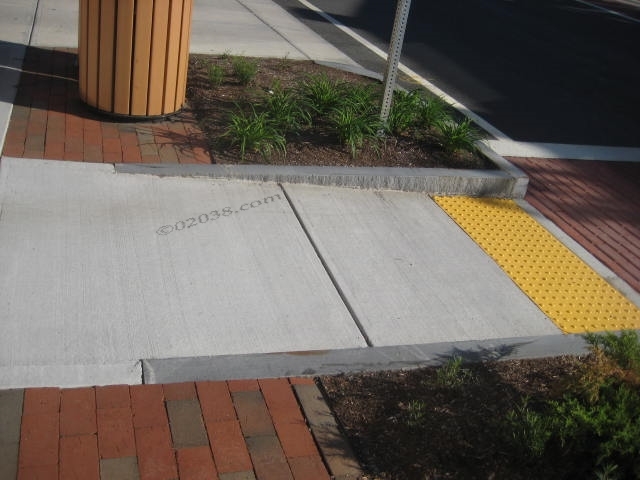 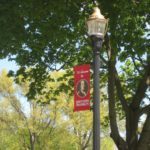 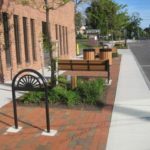 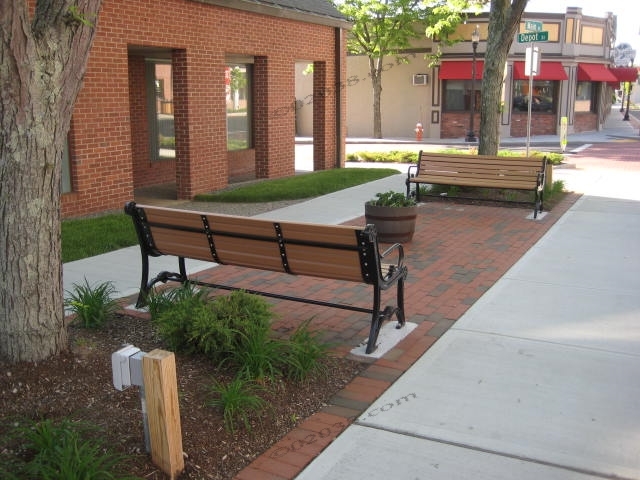 The Downtown streetscape also now boasts new sidewalks with red brick aprons and handicap accessible curb cuts, new period lighting with attractive “Welcome to Franklin” and “Meet me in Downtown Franklin” banners, as well as new benches, bike stands and pleasant green spaces. 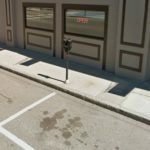 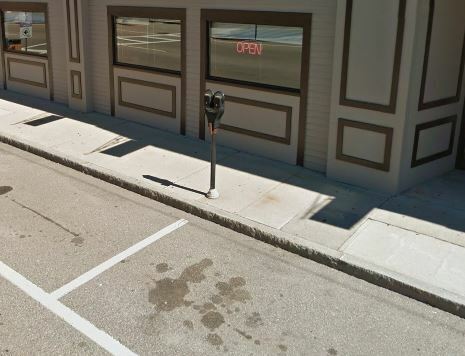 In a boon to shoppers, the annoying parking meters that used to dot the downtown are no more! 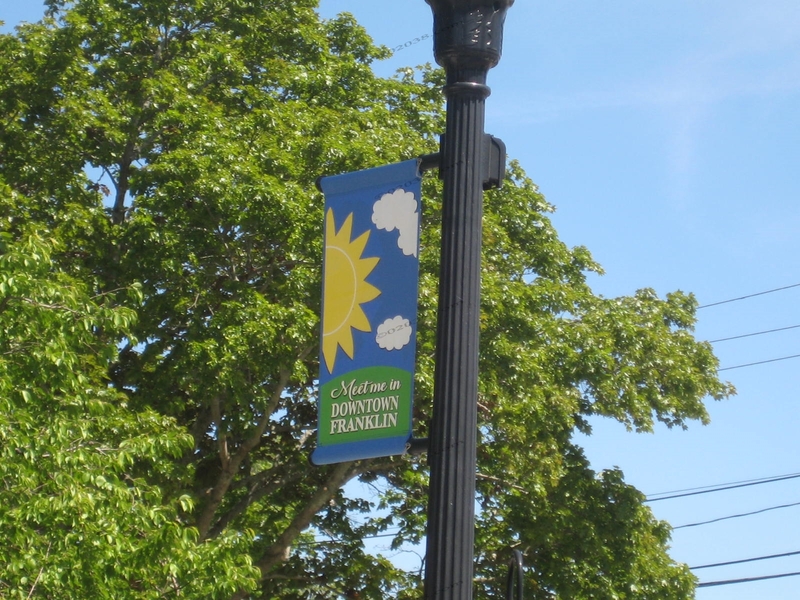 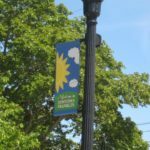 The many fairs and festivals held annually in Downtown Franklin will benefit from the inclusion of sources of electric power on Main Street. 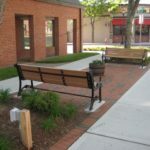 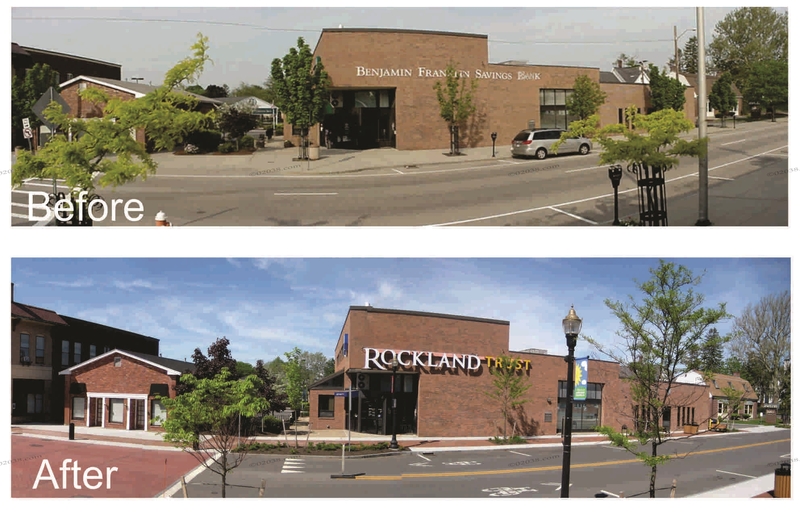 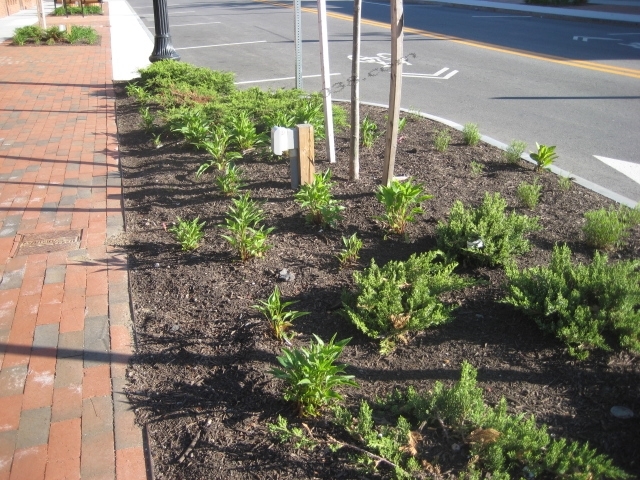 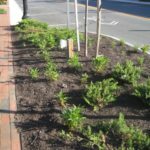 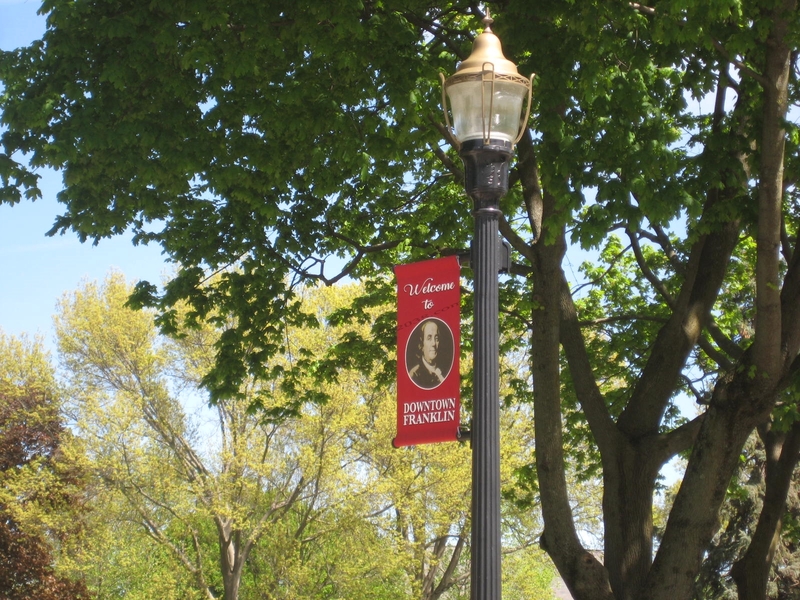 In sum, the facelift to Downtown Franklin, Massachusetts have significantly improved the look and function of the downtown district. 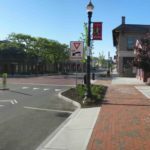 The improvements should help the ongoing revitalization of what can become again a shopping and services destination in town!